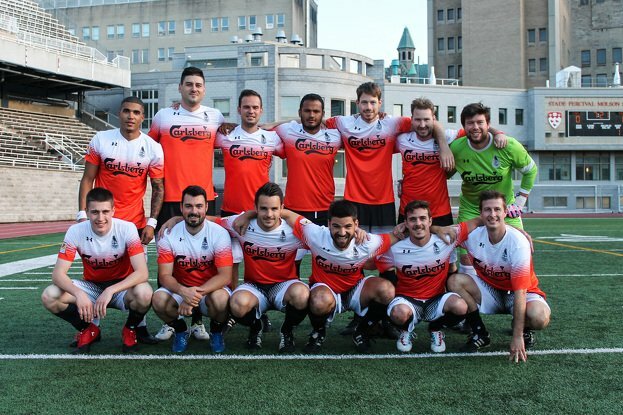 Carlsberg FC, a well-established Montreal club, was amongst the favourites to win the Premiership this season, but a last-minute loss in the Playoff semi-finals prevented the team from getting a shot at the title. Despite the defeat, it is safe to say that the players around captain Mathieu Laroche will be a new force to reckon with in the elite division of the Canadian Corporate Soccer League (CCSL). Carlsberg FC was marching through the Premiership for the better part of the summer. By pulling off an outstanding performance game after game, the team managed to establish a comfortable lead at the top of the charts early on. As a result, other contenders like Sky United FC, or FC Desjardins quickly declared open season on Carlsberg FC. "I have to admit that we were in very good shape in the beginning of the summer. It was definitely tough to beat us. Every one of us did a tremendous job on the pitch", said Mr. Laroche in an exclusive interview with the CCSL. The winning streak of Carlsberg FC was not a lucky streak, but rather a well-oiled and well-organised machine of weekly training sessions, and a solid warm up session before each kick off. The idea of creating a plan with all kinds of different running and stabilization exercises actually came up in the mix of the pre-season. A small group of players decided to sit together and develop a well-balanced preparation routine that had mainly one purpose: to get the bodies in the right temperature. "We take our warm up sessions very seriously. For us, it is really important to be ready when the referee starts the game. Since some of my teammates can only play soccer once a week, we need to make sure that everyone is at one hundred percent", said Mr. Laroche, who is a seasoned defender. However, Carlsberg FC had to experience a serious setback after losing their first regular season game on match day eight. The 4-2 defeat against Sky United FC retrospectively proved to be a turning point for the number one seated team. From that moment forward, Carlsberg FC was not able to regain their early-season momentum. Consequently, they lost the top spot in the Premiership to FC Desjardins. "I think that we played well for the most part of the game, but Sky United FC scored whenever they had the chance to score. After that decisive match, our season started to unravel," said Mr. Laroche. The roving roster of part-time players, finally proved to be the fatal blow to their end of season performance. But even if the players had to give up the championship trophy due to a painful loss in the Playoff semi-finals, they can be proud of their achievements. Not many teams were able to show such a promising performance throughout their first Premiership season. "Of course, we would like to win every match. All of us take playing soccer pretty serious", said Mr. Laroche openly. "At the same, we try to keep calm if we lose. We are all friends and enjoy hanging out together. 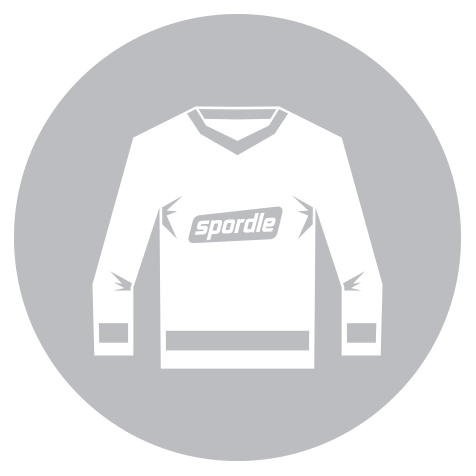 We take pride in our sponsor and support them at every level – we don’t like to disappoint anyone." Keep up the good work - we wish you much success for the up-coming challenges, Carlsberg FC.